Quick. What do Mexican and Korean food have in common? Dog meat? No, that's not it, despite what you hear. If you were thinking of carbs, spice, beef, grilled meats and the sort, I guess you can make a compelling argument. However, let me rephrase the question - what do they have in common within the GVRD? Simple. 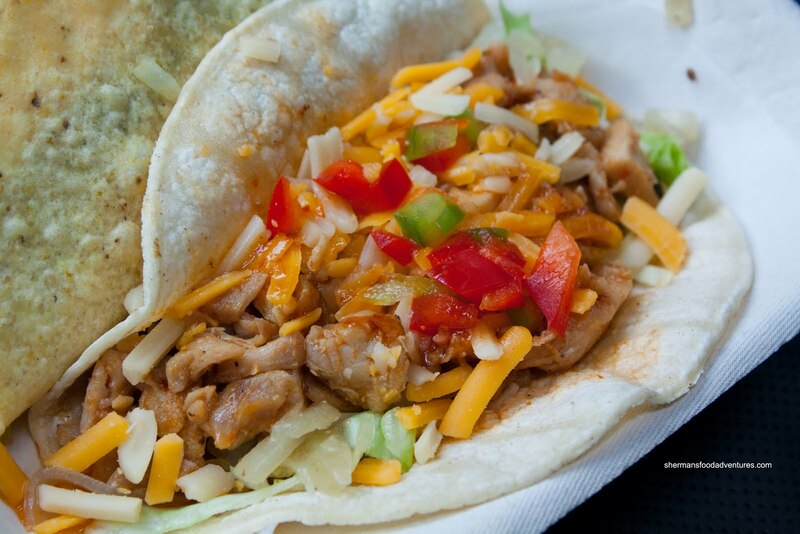 The Roaming Dragon and Coma food trucks (and Cartel Taco). These mobile outfits have combined the 2 cuisines hoping to offering something tasty and different. Now we have another in the form of a cart with a consistent home. Ursu Korean BBQ food cart sits on the corner of Georgia and Richards (which is a bit tight for that sidewalk, I might add). If the Roaming Dragon and Coma represent modern fusion cuisine, then Ursa would be the rustic, less-refined version. Rather than the usual younger operators found at food carts, this one features older Korean ladies serving up tacos and quesadillas. There was a small gathering when I arrived and as we were all waiting for our food, it quickly donned on me that this is not exactly "fast food". It took over 20 minutes for me to get my order. When I did get it, the ladies behind me asked for their money back sin ce they could not wait any longer. To get an idea of their offerings, I got a little of everything. I got a BBQ Chicken Soft Taco as well as a BBQ Beef Taco. In terms of a better value, I would recommend going for the soft taco since they can put more "stuff" into it. Furthermore, the soft taco was the better of the 2 in general. The problem with the hard taco was that they did not toast it first; hence it had a "stale" texture to it. Not that it was stale though, it just wasn't crispy. In terms of the meat, both were quite sweet while the chicken had some spice. For some reason or another, I found the un-m elted cheese a poor compliment to the Korean BBQ meat. Texturally, the chicken was tender while the beef was quite dry. I think the beef taco could've benefited from some type of sauce. 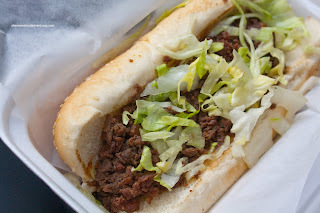 Also in need of some sauce was the Bulgogi Dog. Essentially replacing a taco shell with a hot dog bun, the whole thing was far too dry. The dry bun combined with the dry meat with no form of moisture whatsoever made it hard to eat. I needed water to help me swallow. As mentioned, the meat was quite sweet (which is not really that usual for Korean BBQ) and could've benefited from some contrasting flavours. Lastly, I got the BBQ Chicken Quesadilla (yes, I ate all of this). Unlike the taco, the cheese worked well with the spicy chicken meat. Since it was melted, the flavours kinda melded together. 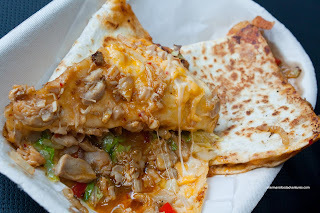 I did enjoy this since there was all the typical ingredients to a chicken quesadilla except with a Korean twist. However, I can't see many people paying $6.99 for this. 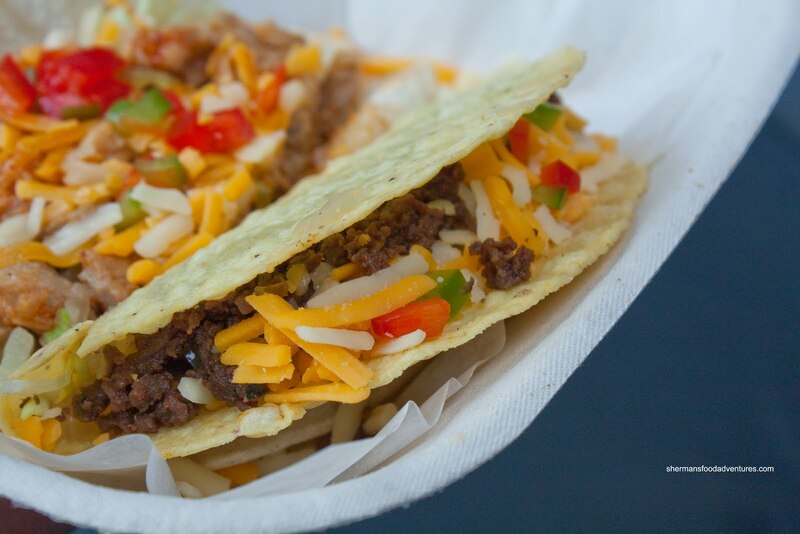 That is probably why I'm not that excited about this latest Korean-Mexican fusion food cart. 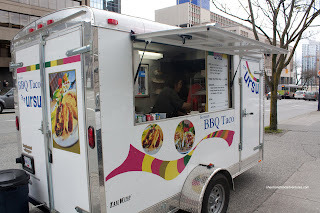 Personally, I would probably go with the Roaming Dragon or Coma Food Truck ahead of Ursu. I hope the ladies take your review and use it to improve their product. It sounds like they have an interesting idea and with the proper execution they could have a successful cart. I really like to see people succeed but they are much more likely to do so if they listen and receive criticism as an opportunity for improvement rather than an insult. I hope so too. 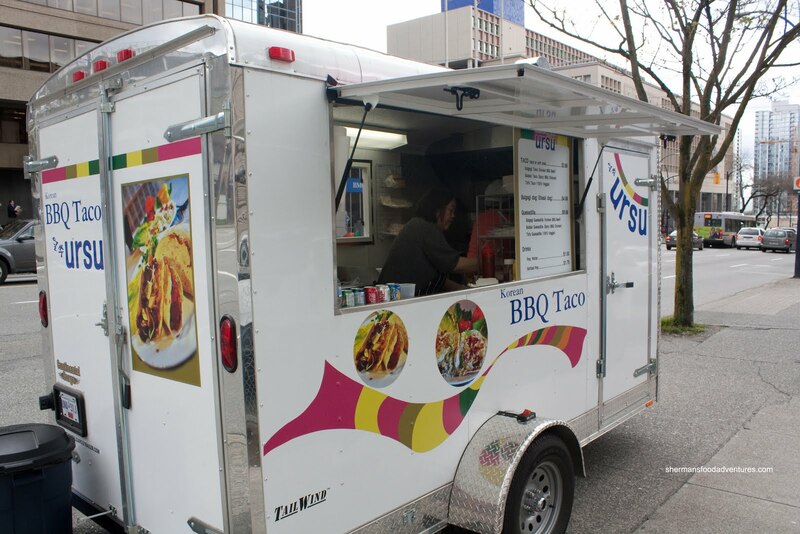 They have an idea which is currently replicated with many other food carts. So they need to stand out. Tried their Bulgogi Dog just now. It seems they have listened and put in more sauce. All in all, it was moist and flavourful! @greyhairboy Thanks for the update!